producing around 100,000 plants per year. and great plants to our customers. 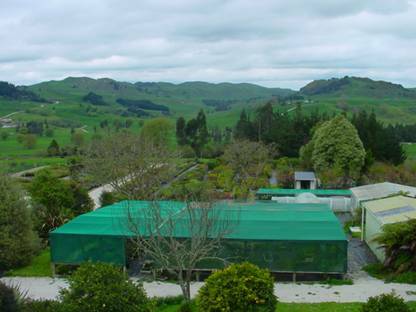 Species including ornamental, alternative forestry and shelter. Most species are available throughout the year (container grown) and some are also available bare-rooted during winter months. We are in regular contact with other wholesale nurseries and can source any plants not listed on this site for you. The Product Lists are not complete as we also stock many other species which are grown in smaller quantities. If you are looking for something special, email us your questions and we will do our best to help find what you are looking for. We can help you to select plants suitable for your site from city to coastal. Our customers visit us from all over the country and we supply to New Zealand customers only.